“Southfield”, the 1,440-acre former South Weymouth Massachusetts Naval Air Station, is on track to be the largest mixed-use development in New England employing “smart growth”. Smart growth is a land revitalization measure that builds on the best of the past in a compact sustainable way, preserving land for the future, while offering neighborhood character with access to jobs, services, and recreation. Military base re-use is a unique paradigm of community re-development with a diverse set of issues and challenges. The phased $750 million dollar development will include 2 million square feet of commercial and retail space, while offering a broad range of housing options. Situated within a prime location in the tri-town communities of Weymouth/Abington/Rockland. The Filterra Bioretention Systems was selected by the design engineer, Kimley-Horn and Associates, Inc., as the best management practice (BMP) of choice for stormwater treatment. Filterra harness the power of nature to capture, cycle and immobilize stormwater pollutants to treat urban runoff. The combination of landscape vegetation and a specially designed filter media allows metals, nutrients and total suspended solids (TSS) to be removed naturally Filterra’s small footprint, high pollutant removal efficiencies and aesthetic values influenced local and state conservation agencies, and the South Shore Tri-Town Development Corporation to install several units within 10 feet of delineated wetlands flora. 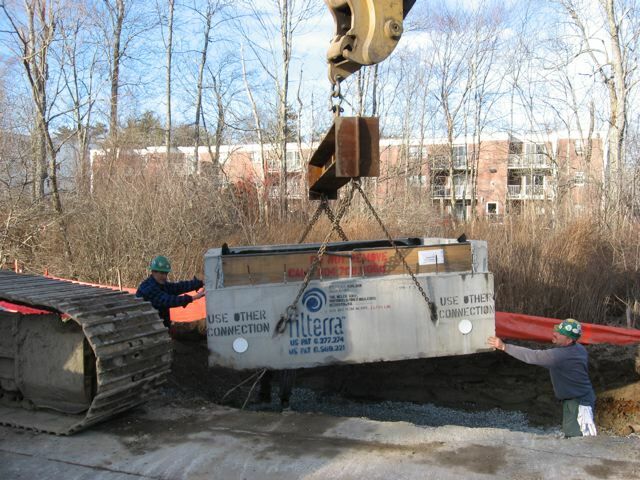 Two 10' x 6' and four 8' x 6' standard Filterra units were installed along Shea Boulevard to treat stormwater runoff. 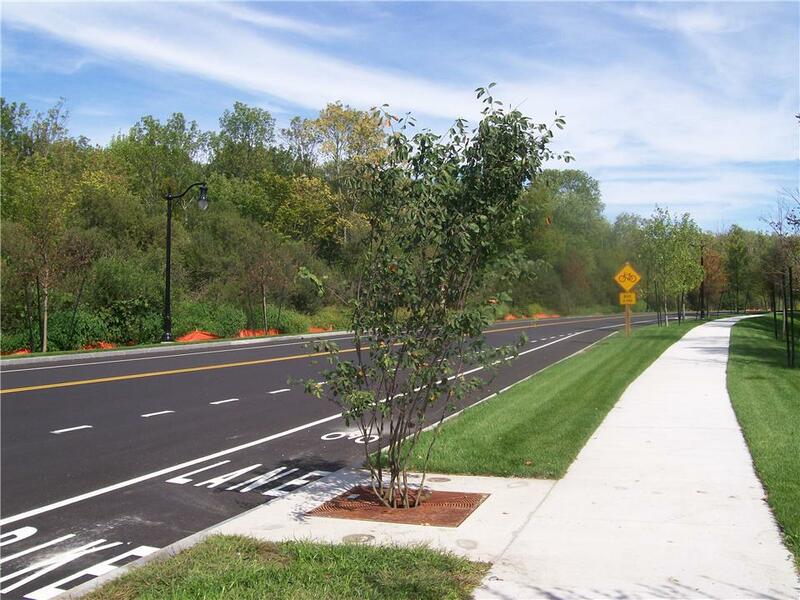 Native plants such as Serviceberry were installed to complement the existing landscape along the street.